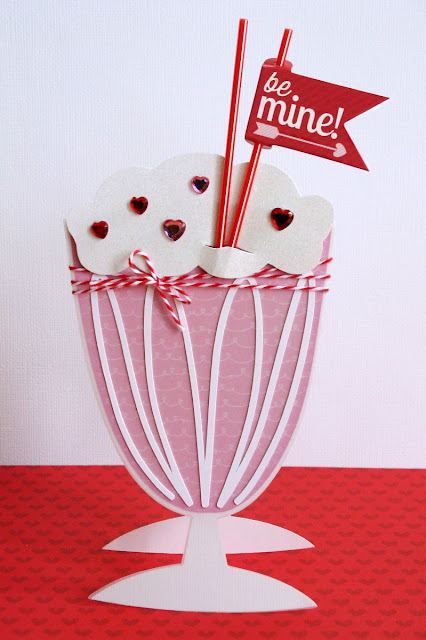 First up is an Ice Cream Soda card I created using a variation on a Silhouette cutting file found HERE. For my ice cream I hand-cut Doodlebug's sugar coated cardstock, topping it with rhinestone sprinkles and pixie sticks as miniature straws! 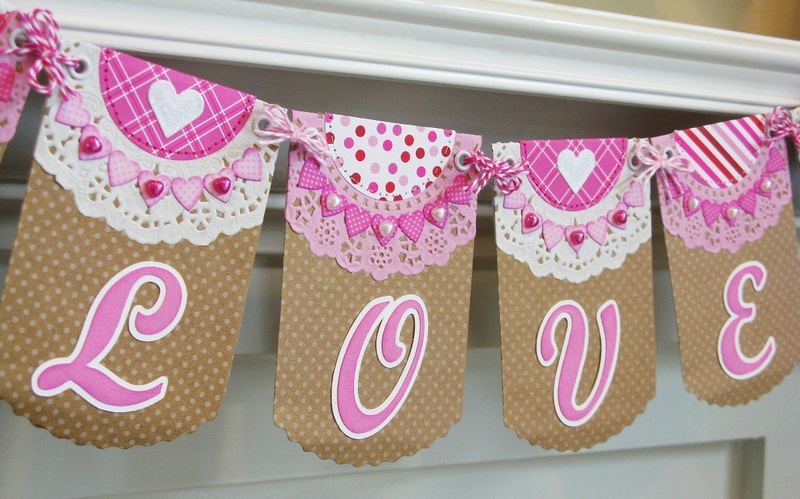 Next up is a banner I created using Doodlebug's awesome new kraft treat bags and paper doilies. I have a feeling these little bags are going to become a fast favorite of mine with all the different ways one can use them! For this project I thought it would be fun to isolate all the pinks in the collection for a more monochromatic look. For my next project I dressed up a simple white gift bag created using We R Memory Keeper's new gift bag punch board. I added a little pocket to the front by folding a punched circle in half and stitching it down to hold some cute tickets from the collection. My handle was made extra sturdy by braiding three strands of Doodle twine. 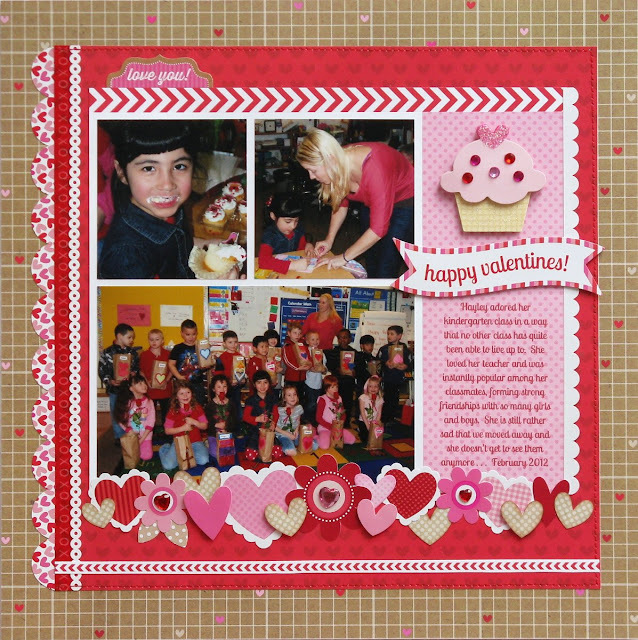 My last project features a layout from my daughter's kindergarten party. 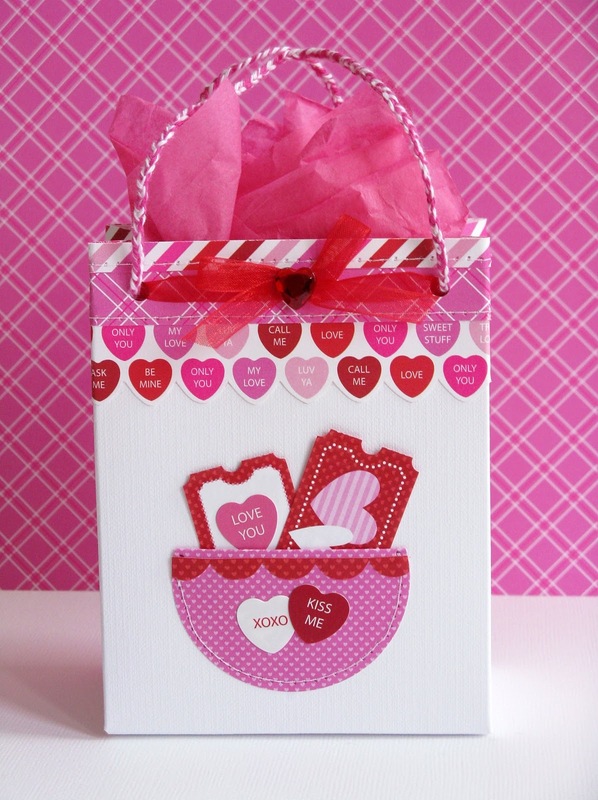 I love how the kraft colors in this collection are a perfect match for the kraft bags the kids decorated to hold their valentines! The new red XOXO's washi tape is another favorite of mine! Such an awesome new width and so versatile! To form my border I layered various cardstock stickers and fussy cut hearts from the patterned paper, popping some up with foam tape for extra dimension. 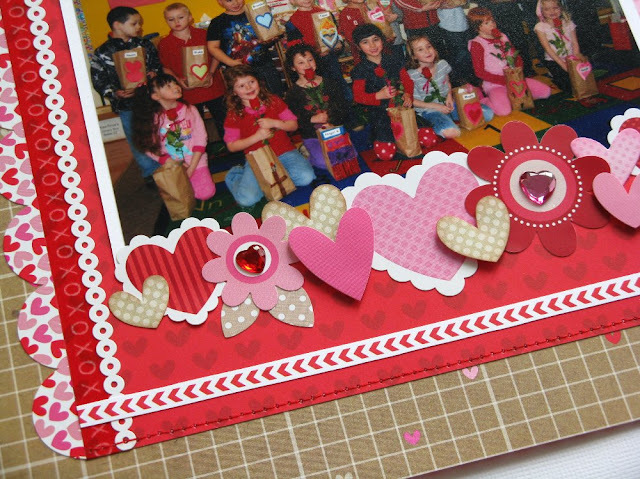 Thanks for visiting the Doodlebug blog and allowing me to share my Sweetheart projects with you today! I hope you will grab yourself some of this adorable collection and play along. It's seriously addicting! All of your projects are just darling Mendi!!! Thanks for the inspiration! This new line is adorable!!! I love all the projects, great inspiration!!! Wow Mendi!! 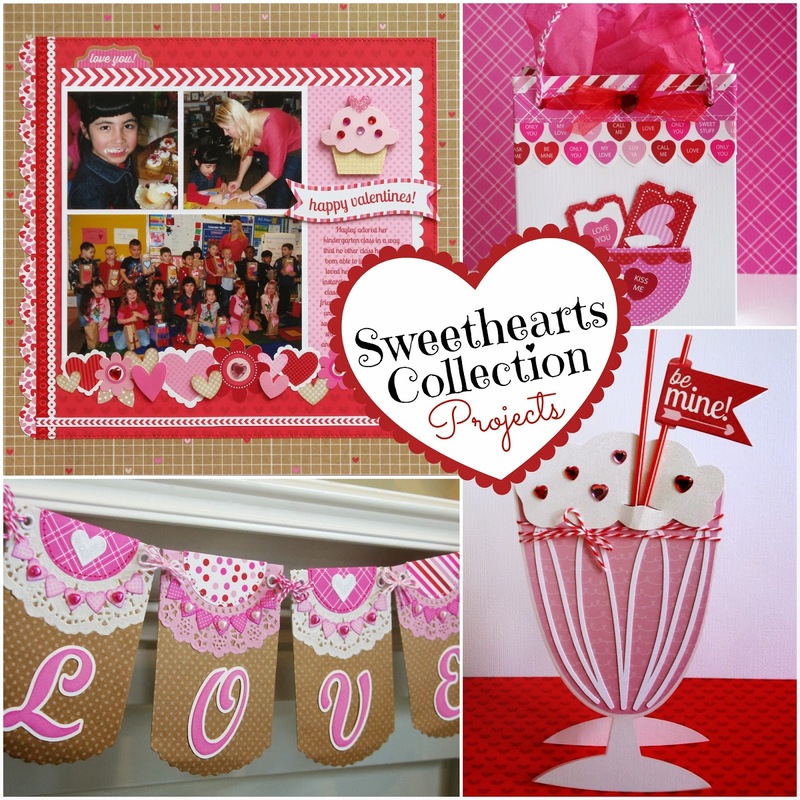 Adorable projects and so many! Love your idea to use the pixies as straws in your first card!!! All of your projects are beautifully created Mendi!! Loving every single one of them! Beautiful projects , Mendi!! They all look so cute and fun to try!! Thank you so much for sharing with us!! is a fantastic inspiration for monday! Very cute! What a pretty line!!! Amazing Projects!! Way to go Mendi!!! love Love LOVE the banner - but what font did you use for the L-O-V-E??? Oh I love the banner! I wish there was more info! YOU'VE DONE IT AGAIN!!! The cutest collection!